What type of author am I? Sometimes, I’m marketed as a speculative fiction writer. Other times, as a black gay writer. 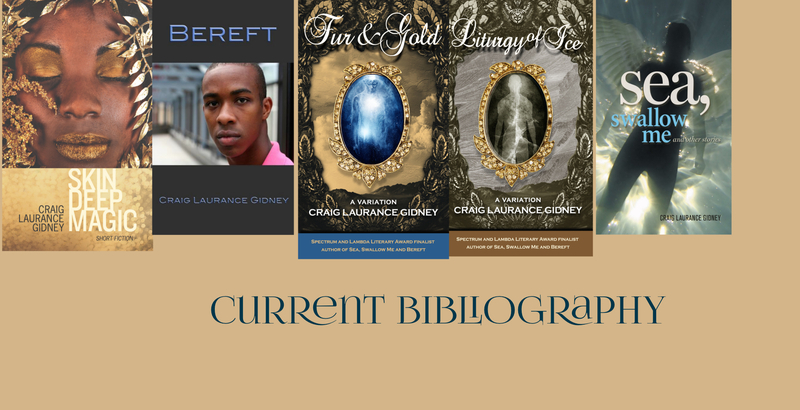 When I self-published two stories, I cross-marketed myself as a M/M author (along with a dark fantasy tag). And there was the year when I marketed myself as a YA author dealing with the issues of bullying, racism, and homophobia. Here’s the thing: I hate marketing myself. My preferred elevator pitch—I’m influenced by Tanith Lee, Toni Morrision, Flannery O’Connor, Kafka, Samuel R. Delany and Shirley Jackson—seems to confuse people. To me, even my ‘realistic’ fiction alludes to the fantasy fiction I love, and my fantasy/horror is deeply inspired and influenced by ‘real life’ issues like racism and homophobia. I hate the way gay fiction is often marketed—the parade of glistening torsos and six pack abs do not appeal to me at all and furthermore, doesn’t really reflect my work. I don’t want to be put in the “black/African-American literature” section of the bookstore; it limits my audience and besides my characters are not all POC (or gay, or men). My speculative fiction is ‘literary,’ and my ‘literary’ fiction has tons of allusions to spec fiction. I think the best way to describe my fiction is Interstitial Fiction. Which only causes even more blank looks. My forthcoming book, Skin Deep Magic, can be marketed in a variety of ways. Allegory, satire, horror, magic, and Gothic forms are represented in the 10 pieces. Race and sexuality are thematic concerns. I can only hope that the book reaches its various audiences.